Wow! what a show Joanna did today. 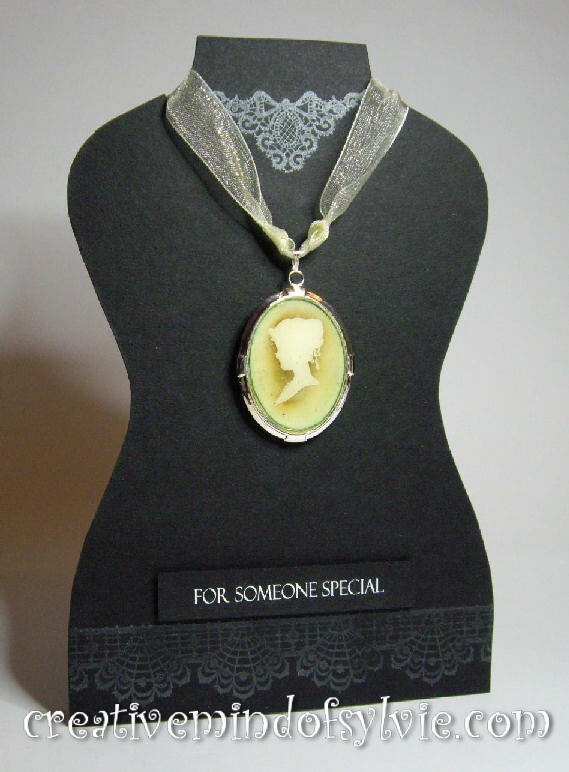 These Cameo stamps sold out after only 20 minutes into the show. I am so delighted that they are so popular. Here are my 10 sample cards that I made for the show with brief descriptions of how I made each one. 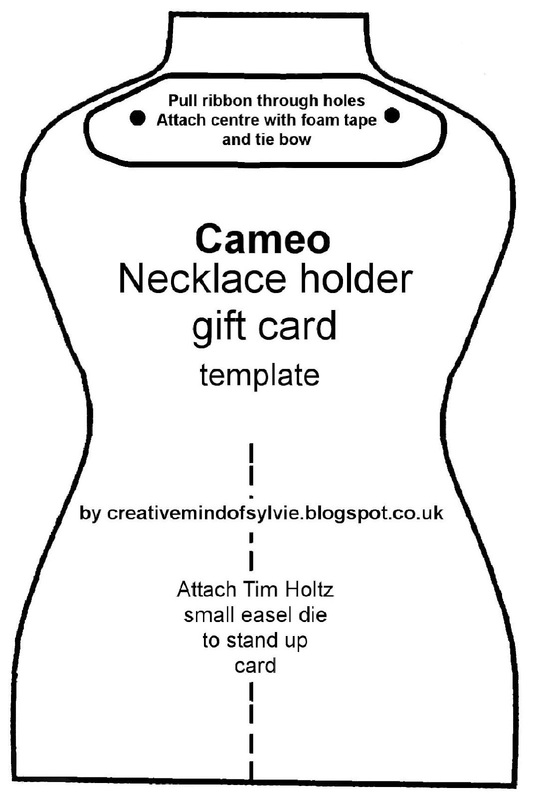 Plus I have a Freebie template to download at the end. folder then sanded and inked around the edges. with JS pressed flowers to create a miniature. 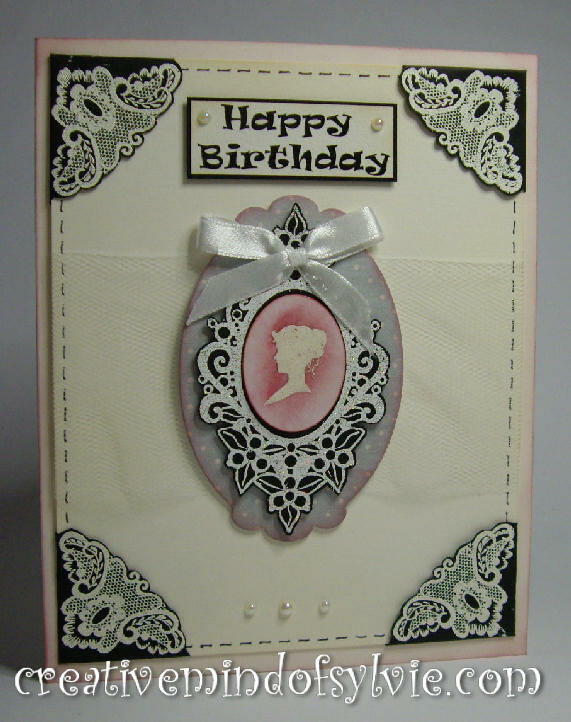 Cameo stamped and white embossed onto black card. 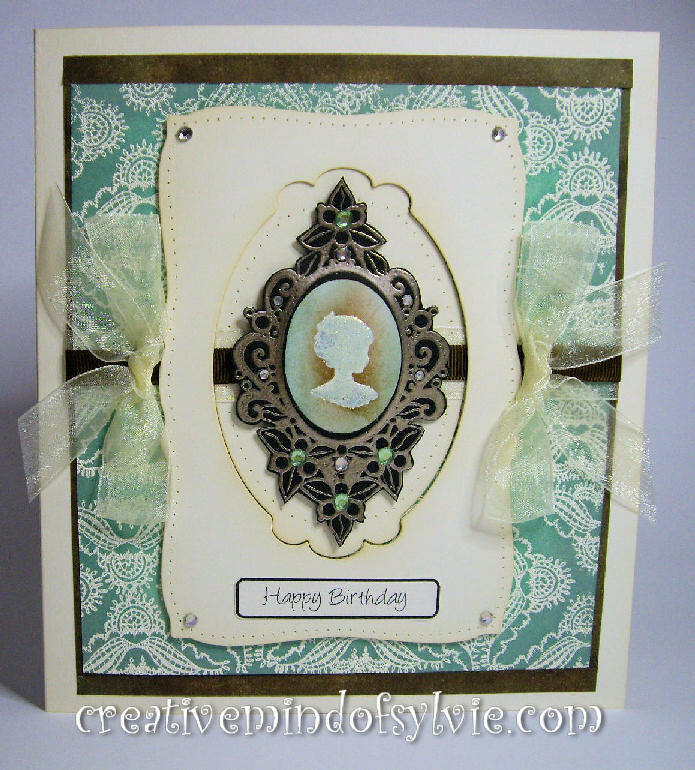 Stamped cameo again on cream, die cut and inked. 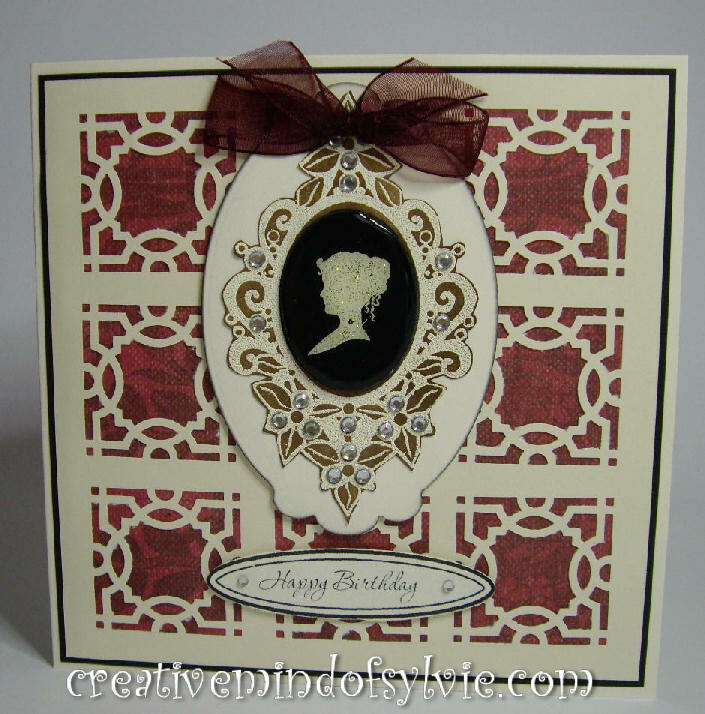 Cameo Black embossed onto cream card. 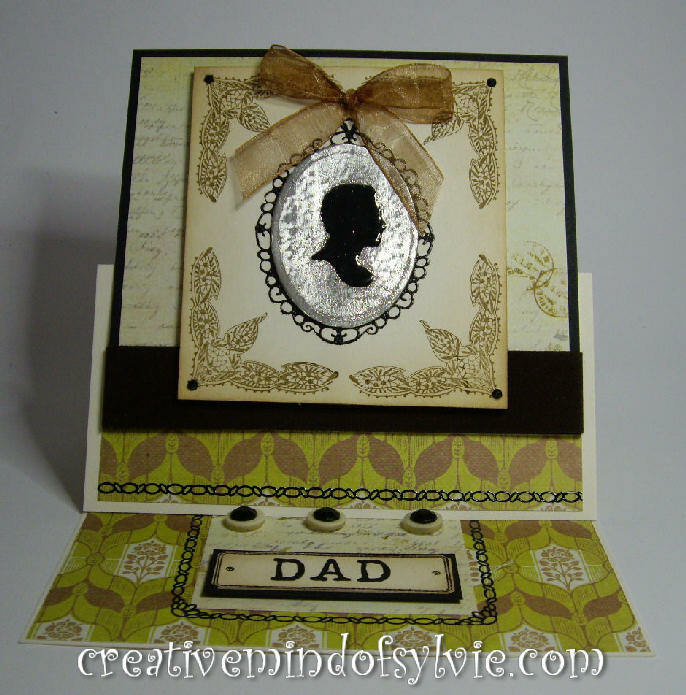 then inked to create backing paper. white powder onto parchement paper. 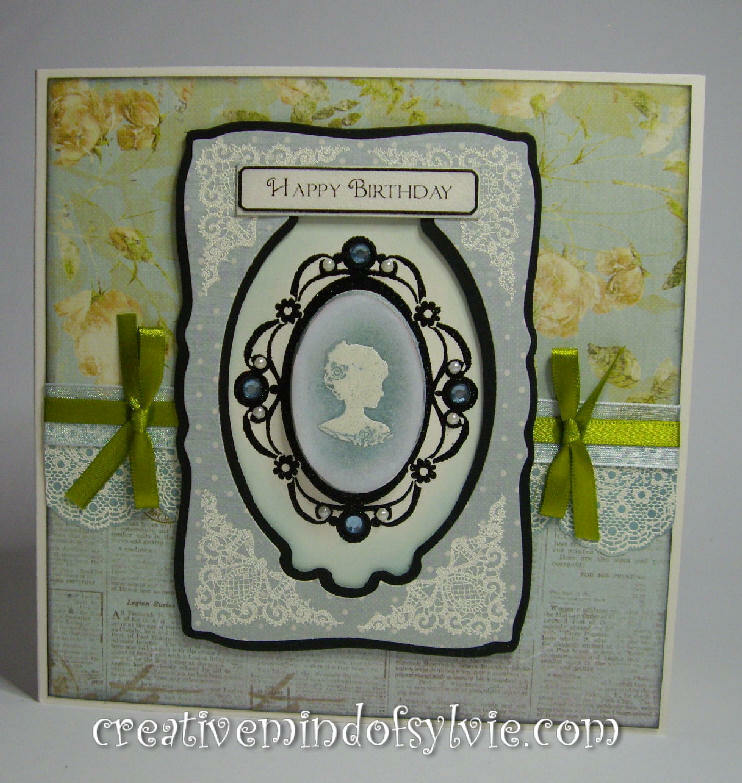 size – layered onto frame. 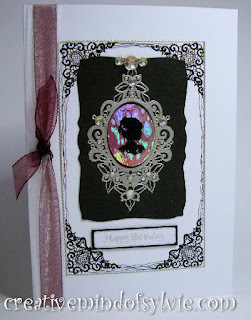 card.. die cut and layered up. gilded Ivory. 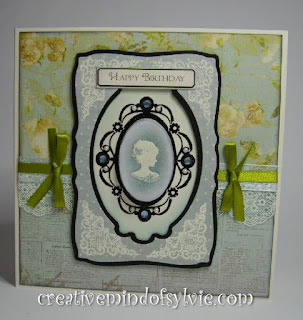 Die cut the cameo and used crystal laquer. Inked the frame with walnut stain. 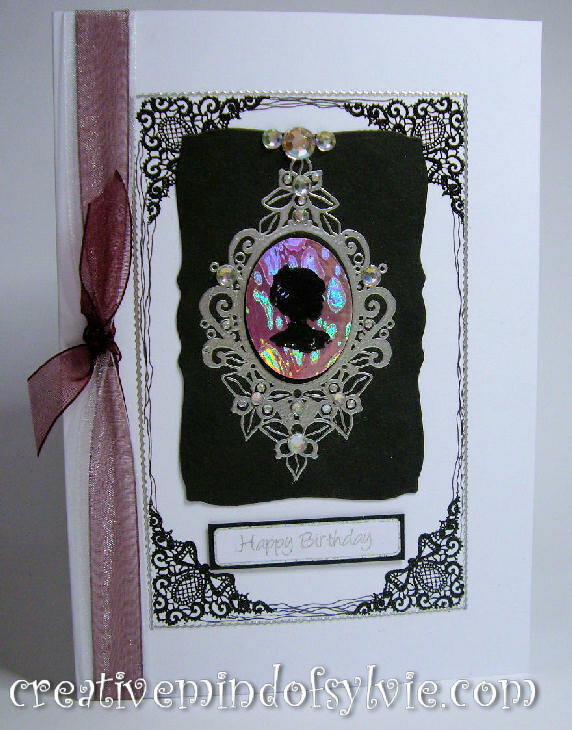 If you like this card to use for your own cameo or for any type of jewellery display.. 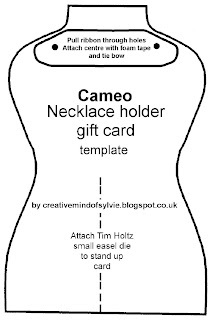 I have a FREE template below for you to print out and use for your own personal use. Click on the image to see the large version, right click and save to your PC. Thank you for visiting my blog today. I would love to read any comments you would like to leave. 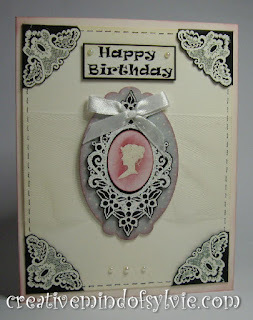 What amazing stamps and such beautiful cards.!! love them. Thanks for the freebie. Wow so pleased you left a comment - what a super surprise. 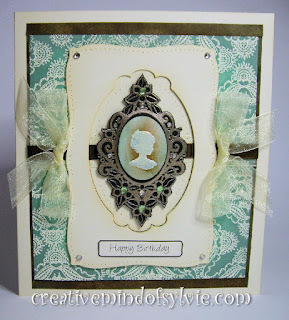 I am so totally in love with all these lace stamps - I think that can tell though!!! 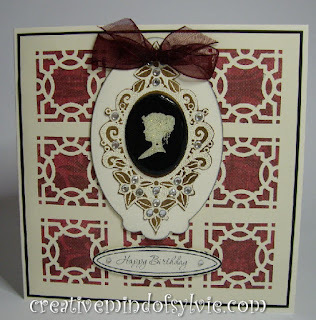 Just stunning designs and so easy to work with I really hope there are more in the pipeline!! 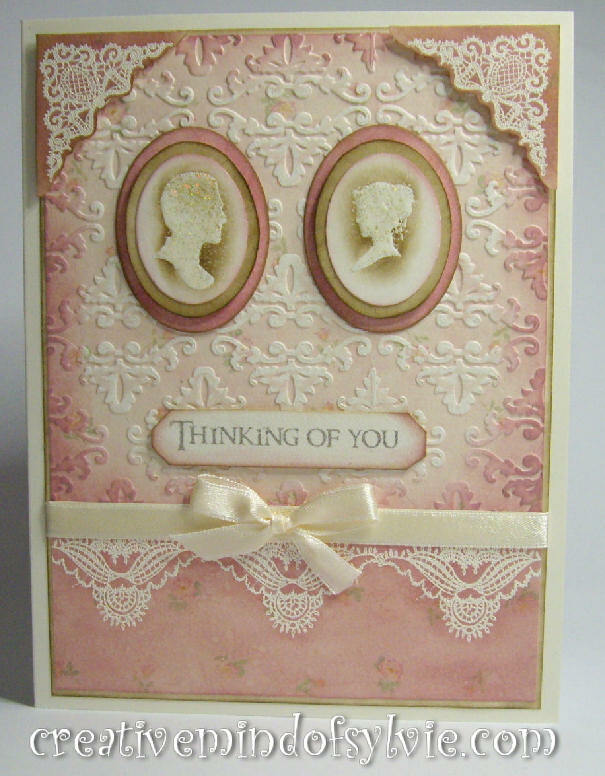 I had a sneeky peep at Loose Women today on TV and if you have a chance have a look yourself and take notice of the background set - there are some fabulous lace images in the background - shoes, bags, etc I think these would be stunning for stamps!!!!! My mind never switches off!! lol Thank you again for your lovely comment and the samples that you do are amazing and are a pleasure to show them on the shows. Thanks Jo, I am so happy that you like them and I can't wait to watch your demos. Yes, the images on the loose women set are a bit scrumptious!.. I may well be inspired.. he he.. These are so beautiful Sylvie, congratulations on these beautiful new stamps. 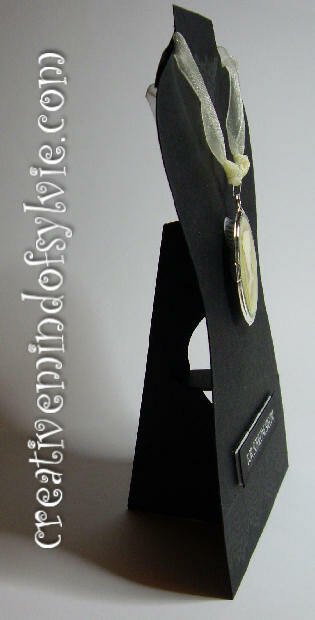 Mine have just arrived today, I'm delighted with them, I just hope I can do them justice. 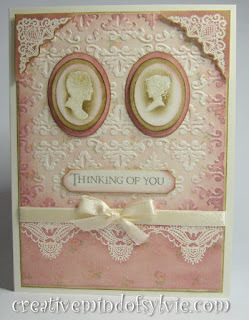 Jo, looking at the beautiful cards you have already done on your blog, I am sure you will make some wonderful cards.. I would love to see what you make. LOVE cameos!! Thank you so much for sharing!! 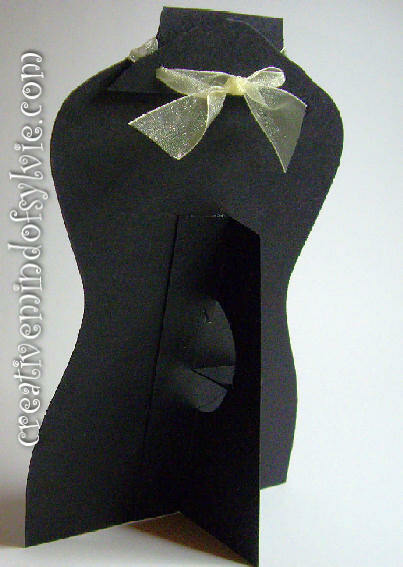 Thank you for sharing.What a great idea for giving jewellery. 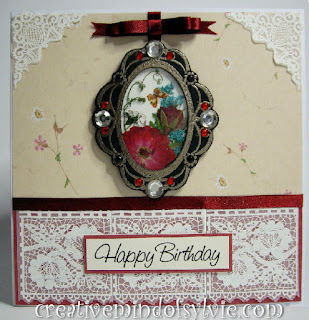 Really lovely and inspirational cards. Thanks for the freebie! 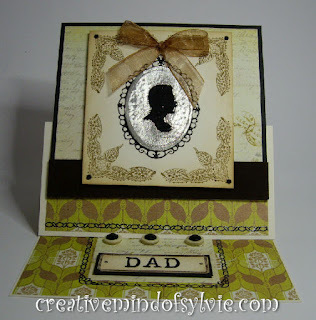 I purchased your cameo stamp set from Joanna Sheen's webstore. They are beautiful. You are a talented artist. I truly appreciate your work! Thank you. WOW! 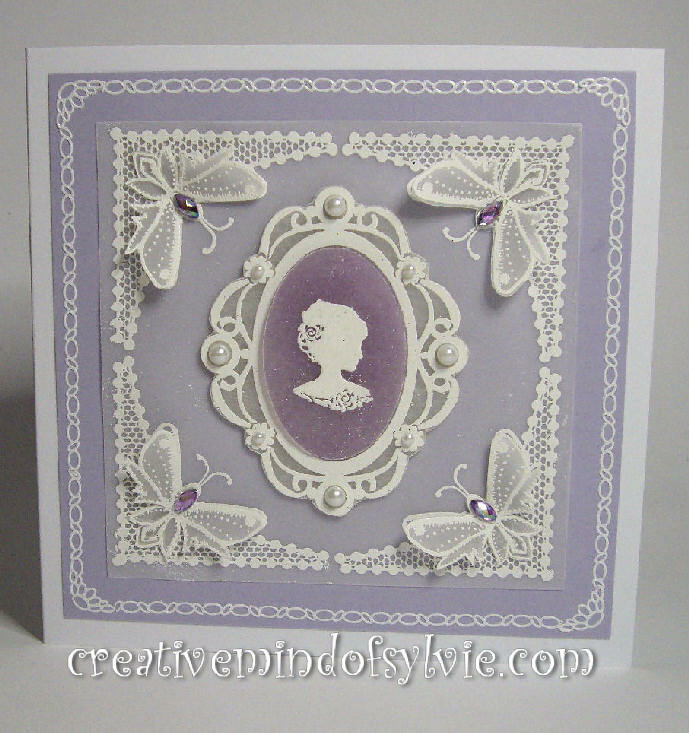 Sylvie these are all beautiful, you've given me loads of inspiration on how to make the best of these gorgeous stamps. Thank you, you are a very talented lady.